Every once in a while, I am intrigued by a Quilty speaker and take the workshop at the last minute. That’s what happened this month. 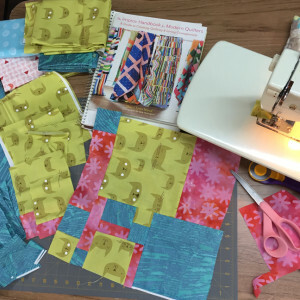 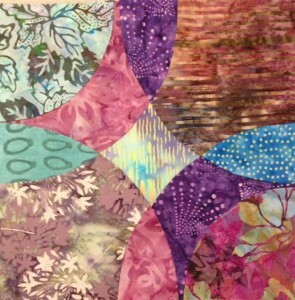 I fell in love with a batik fabric pack, bought some curvy templates and took Judy Sisneros’ Circle Pizzazz workshop.